Rising number of contact centers and necessity for compliance and risk management across several verticals have led the companies to invent solutions in speech analytics which will aid companies to comprehend the changing necessities of customers. Several organizations functioning in diverse industrial domains have been evolving interests for the transcription and analyzing of customers and structural media and uptake rational decisions for the management of business and consumers with the help of speech and text intelligence. This is the main factor that is responsible for the growth of the speech analytics market and a protuberant driving factor in the growing demands for speech analytics in several industrial applications. This rising demand can also be accredited to the burdens on businesses for safeguarding their rational assets for improving agility and competence in business operations via the all-embracing insights quarried in the Voice of Customer (VoC). Speech analytics is used in sectors such as customer experience management, agent performance, business processes, compliance and risk management, and market intelligence. Other than this, it also finds application in public sector, entertainment and media, hospitality and travel, logistics and transportation, information technology and telecommunication, utilities and energy, manufacturing, consumer goods, retail, life sciences and healthcare, and banking, financial services, and insurance. The speech analytics market players are investing in huge amounts in research and development in order to enhance their technological ability and product accuracy. Strategic alliances are also expected to play a prominent role in this path. Speech analytics technologies are used to extract information at customer contact points across various channels such as voice, chat, email, social channels, and surveys. Across the world, voice and phone interaction is the most common mode of communication used by consumers. Therefore, speech analytics is used in Voice User Interface (VUI) to derive insights at different contact points. In current times, organizations across various industry sectors are undertaking programs for transcripting and analyzing customer and organizational media. This is mainly to take logical decisions for customer and business management with the help of speech and text intelligence. This is one of the prime factors driving the demand for speech analytics across various industry sectors. The increasing pressure upon businesses to protect their intellectual property in order to improve efficiency and agility in business operations is also leading to the deployment of speech analytics systems. Businesses are deploying speech analytics systems to mine extensive insights from the voice of customers. Various product types in this market include database management system, reporting and analysis, data integration tools, query, analytical tools, online analytical processing (OLAP), and visualization tools among others. Speech analytics finds application in market intelligence, risk and compliance management, business process, agent performance, and customer experience management (CEM). Other than this, speech analytics may find application in several other industry verticals such as banking, financial services, and insurance (BFSI), healthcare and life sciences, retail and consumer goods, energy and utilities, manufacturing, government, telecommunication and information technology, transportation and logistics, travel and hospitality, media and entertainment, and public sector among others. 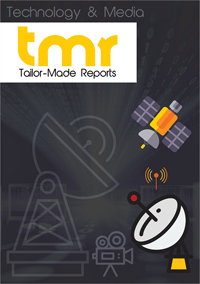 The research report speech analytics market presents a definitive analysis of market dynamics, which includes market drivers, trends, and opportunities that will influence the development of the global speech analytics market between 2017 and 2025. The report is presented based on data collected from industry-centric sources and receiving valuable insights from opinion leaders. The emergence of call centers, law to monitor adherence to business regulatory compliances, and increased focus on competitive intelligence are the major factors driving the global speech analytics market. The development of integrated software solutions, wherein workforce management solutions are integrated with speech analytics will offer immense growth opportunities to this market. Furthermore, there is a rising demand for real-time analytics guidance tools. Speech analytics has emerged as an extension of trends within customer-centric enterprises and insightful management practices. Healthcare and life sciences is anticipated to display the highest growth rate in the speech analytics market space. The global speech analytics market can be segmented regionally into: North America, Europe, Asia Pacific, and Latin America. North America dominates the speech analytics market followed by Europe. The adoption of speech analytics by various industry sectors such as utilities, travel and tourism, and healthcare are the primary factors for the growth of the speech analytics market in these regions. Some of the leading companies in the global speech analytics market are Avaya Inc., Aspect Software Inc., NICE System Ltd., Verint Systems Inc., CallMiner Inc., Nexidia Inc., and Calabrio Inc.